If you’re thinking about blinging up your competition costumes or just want to add a little sparkle to your day to day clothes (and hey, why not?!) then there are two main ways to apply rhinestones: wet glue or heat application. Today we’re talking about Hot Fix application. To get started you’re obviously going to need a heat source. You *can* use your iron but this is really only useful if you have pre-made designs to iron on to large flat surfaces. 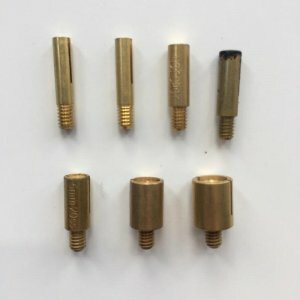 It’s difficult to get the precision for stone by stone application with an iron so investing in a hot fix tool is a good idea. 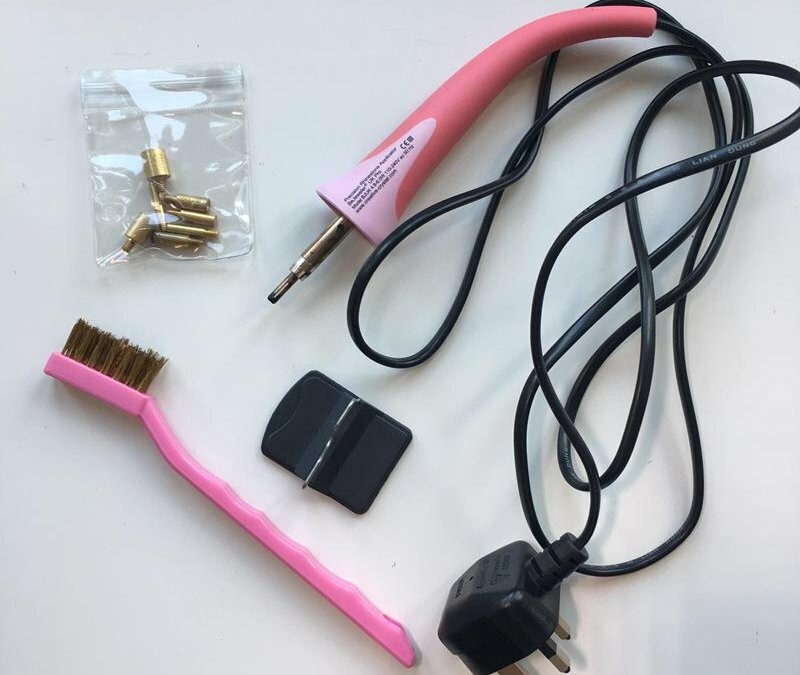 Inside the box you’re going to get some accessories – these are important so don’t lose them! First of all you’ll find a small stand. This is to rest the tip of the tool on in between use and stops the tip from burning your work surface. 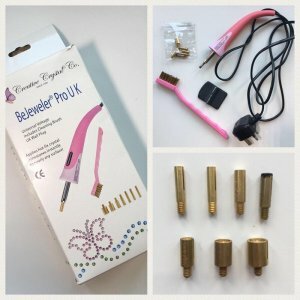 You’ll also have a pack of interchangeable tips which correspond to the different stone sizes – the sizes are normally engraved on the side of the tip. Pro Tip: I usually go one size down from the stone size I’m applying, so if I was applying an SS20 stone, I’d go for a tip marked SS16. I do this because sometimes the sides of the hot tip can touch the fabric especially if it’s a fabric such as velour or velvet. A small tip will still heat the stone and melt the glue but reduces the risk of burning the fabric. The last thing you may have inside your box is a wire brush. This is for cleaning the tips from any residue or glue. 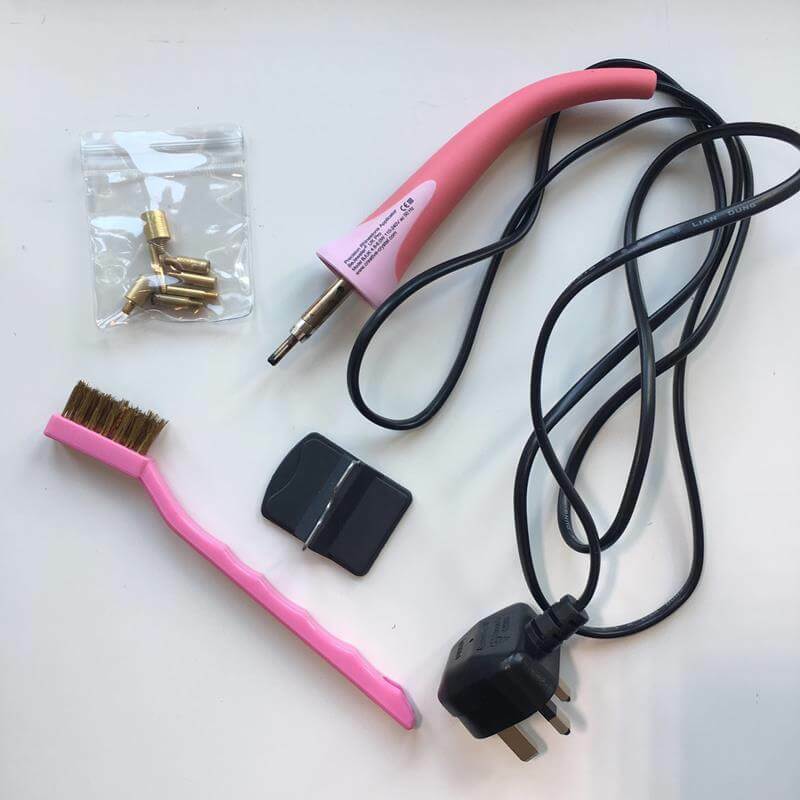 Not all application tools include a wire brush but if you don’t have one, you can pick them up from most DIY stores cheaply or even use a steel kitchen scouring pad. You can see on the picture above that one of my tips is black on the top – this is one that I use a lot and that black stuff means it needs a clean! You’ll need a straight sided dish for each colour/size of crystal that you’re working with. I like the small triangular dish in the photo below as you can then tip the crystals back into the container very easily when you’re finished but any straight sided dish or lid will do. Other options include tupperwear container lids or even a jam jar lid! The reason you want straight sides is so that when you gently shake the dish from side to side, the vertical sides encourage the crystals to flip over the right way up. To pick up the crystals, you can do it using the hot fix tool but I’ve never had much success with this method. I prefer to pick up the stones using tweezers with one hand and then hold them in place whilst applying heat using the tool with the other hand. This takes a little practice but soon becomes second nature. 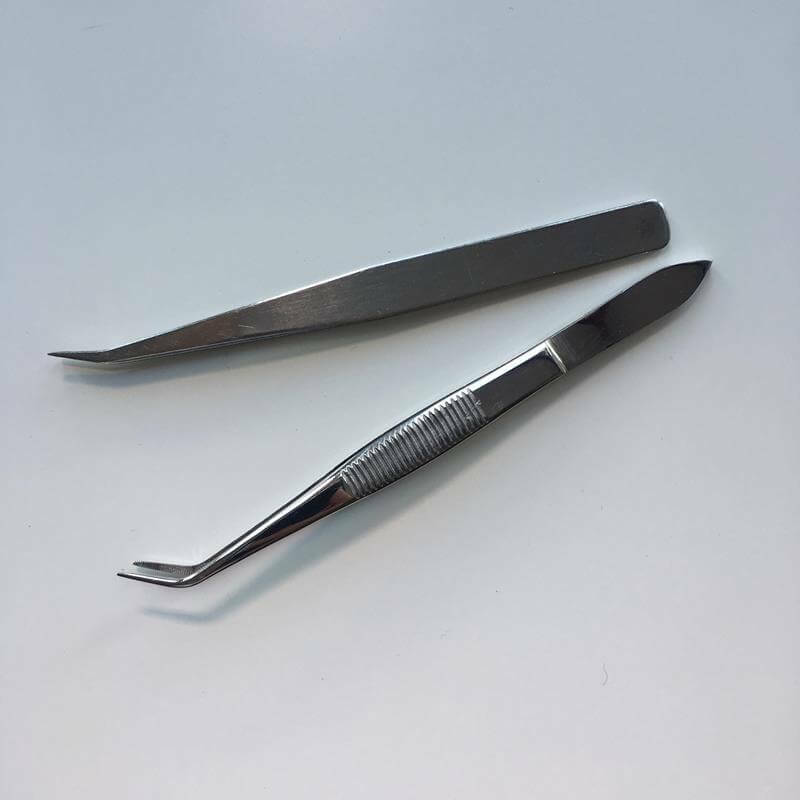 Any pair of tweezers will work but I recommend trying to get a pair which have an angled end and slim pointy pincers. This will make it easier to pick up and place the stone with enough room for the heat tip to touch the crystal and melt the glue on the back. 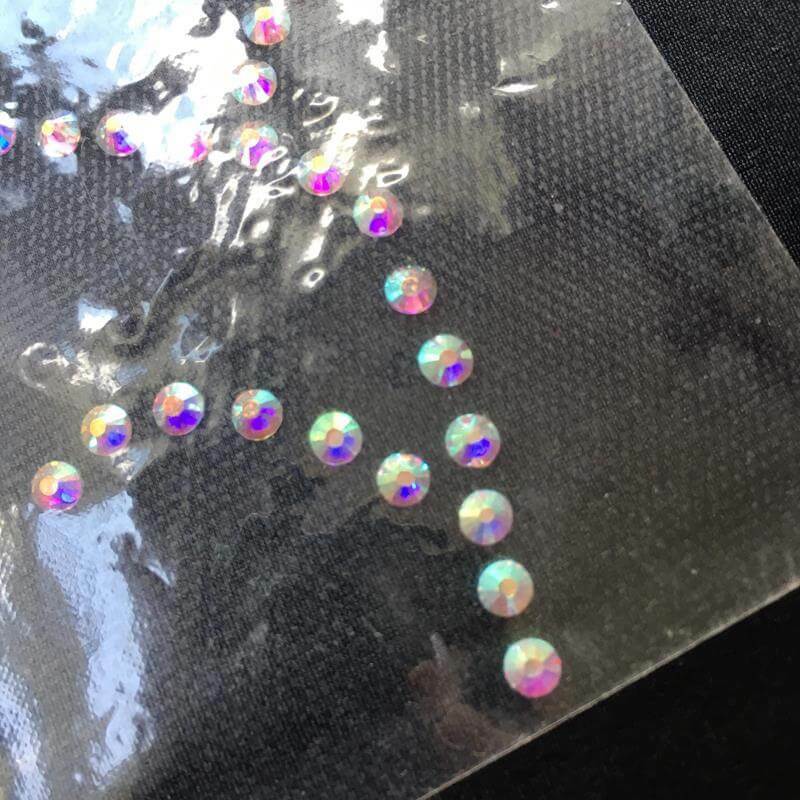 Not essential but if you’re worried about your stones moving around or if you’ve created a design and you want to transfer that directly to your garment, then transfer tape can be useful. It’s a bit like giant sellotape but it’s heat resistant which means that you can apply the hot fix wand onto the crystal *through* the tape. The tape also helps to protect the fabric from damage so can be especially useful on delicate fabrics. Of course, you’re going to need some rhinestones to complete your designs. When buying stones, regardless of what brand you buy, make sure that you’re buying HOT FIX stones. There are 2 types of stone – hot fix and flat backs. As the name suggests, the hot fix stones have glue on the back of the stone and the flat back stones don’t. If you’re using wet glue to apply your crystals then either type of stone will work but if you’re using heat then you must buy the hot fix stones otherwise your design will not adhere to your costume. In terms of which brand to buy – there are lots of options on the market ranging from Swarovski down to acrylic stones. Check out my blog post on which stones to choose here. 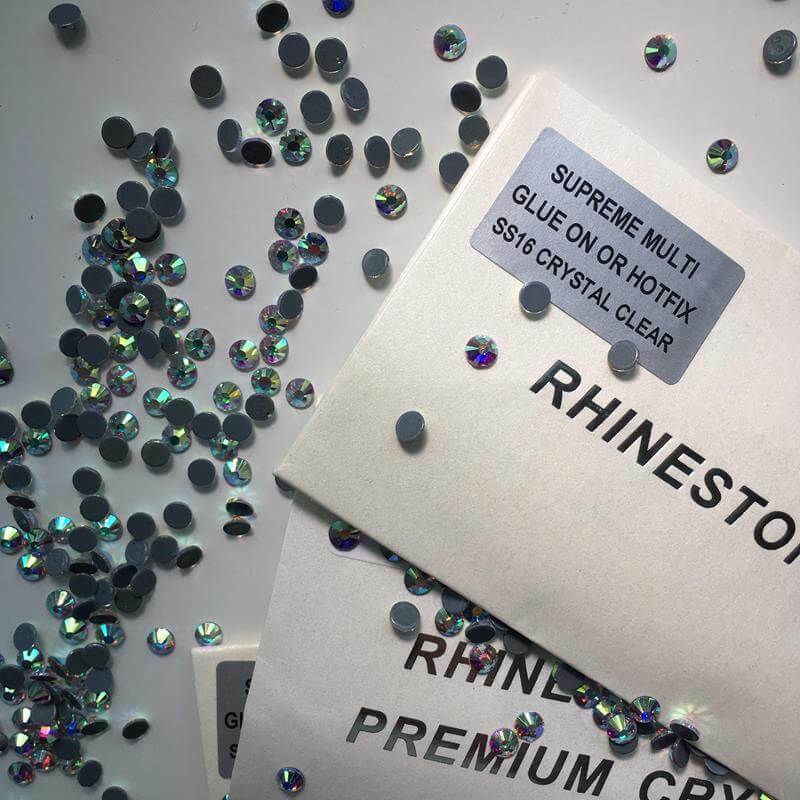 My personal preference is a company called Rhinestone HQ because I believe they offer the best combination of sparkle vs cost. If you decide to try their stones then be sure to use the coupon code BIRDS5 for a 5% discount off any order. Now you’re ready to get started! I would strongly recommend that you test out your technique on a scrap piece of fabric or an old tshirt before going straight onto your costume just to be sure that you’ve got the right method without ruining anything precious. Now get the TV on in the background and get to work! 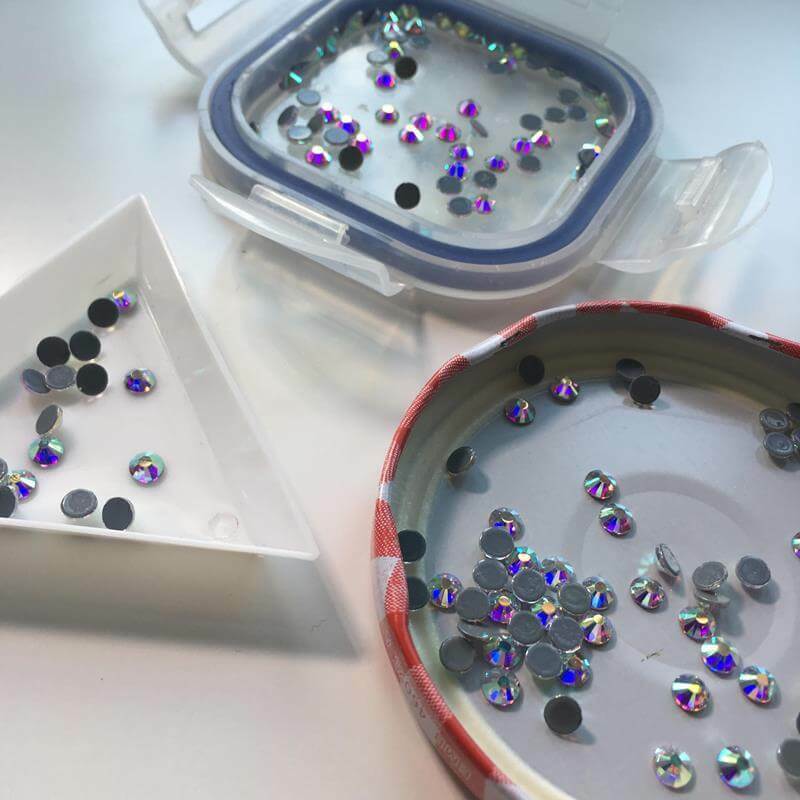 If you’ve got any questions about how to stone your own garments then you might find our Facebook Group ‘Rhinestone Your Own’ helpful – just post your question and we or someone from the community will help you out.